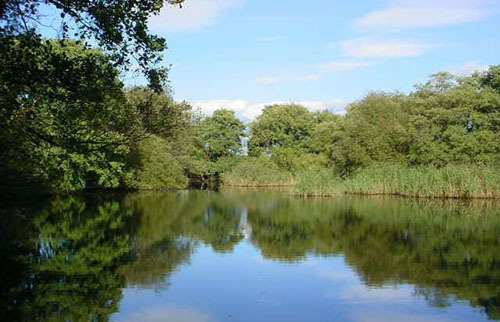 Sandhall Ponds, a quiet idyllic water comprising of three ponds which are all interlinked. Sandhall provides superb carp fishing with Mirror and Common Carp close to 20lbs although a lot of Tench are present which are well worth targeting, as they go to the magical 8lb mark. 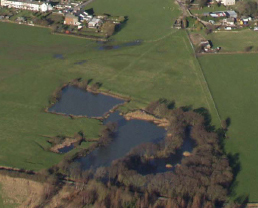 A sprinking of other mixed coarse fish are present in Sandhall ponds. Mirror, Common and a few Ghost Carp were stocked in Sandhall ponds after being fished out of the Gas Terminal ponds in Barrow then transported to Ulverston. The carp are now settled into the water and have packed on weight in the few years they have been present. The largest fish stocked was 8lb but there are a few fish being twice that weight now with the largest caught up to date being just over 17lb. We believe that soon the water will hold a magic 20lbs+ fish. In February 2004 the new bridge for disabled anglers was installed. Pegs for disabled anglers have followed. There has also been a lot of work carried out on the paths and pegs which makes this a comfortable water to fish.